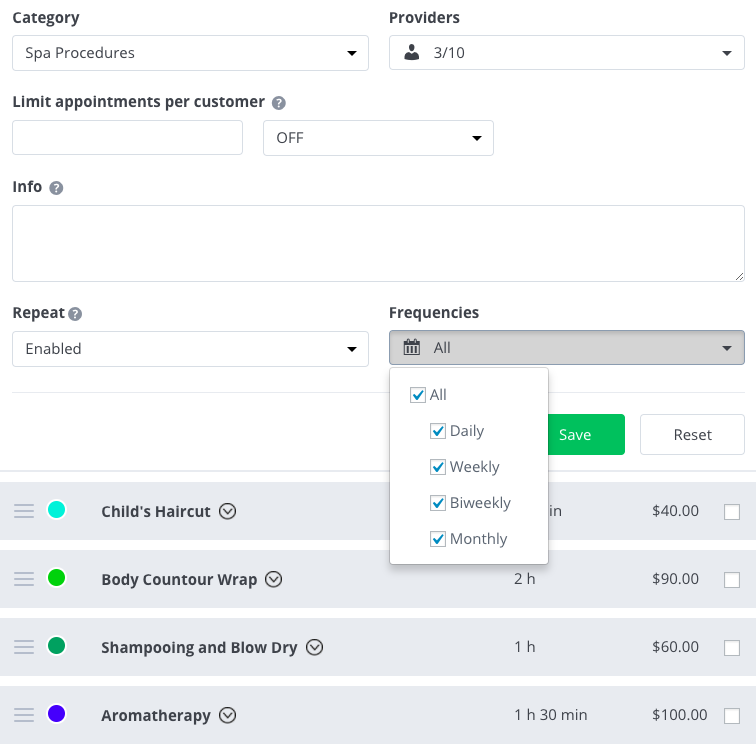 Your clients can now book a whole series of recurring appointments weeks or months ahead, with this add-on to the Bookly Pro plugin. 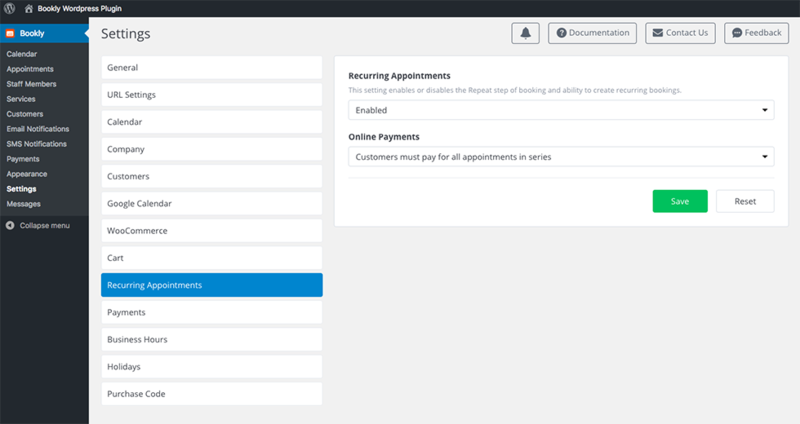 Enable or disable the option of having recurring appointments for each service. 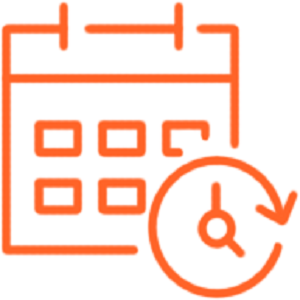 Clients can choose repeat intervals from daily to once in several months. All appointments are booked instantly. 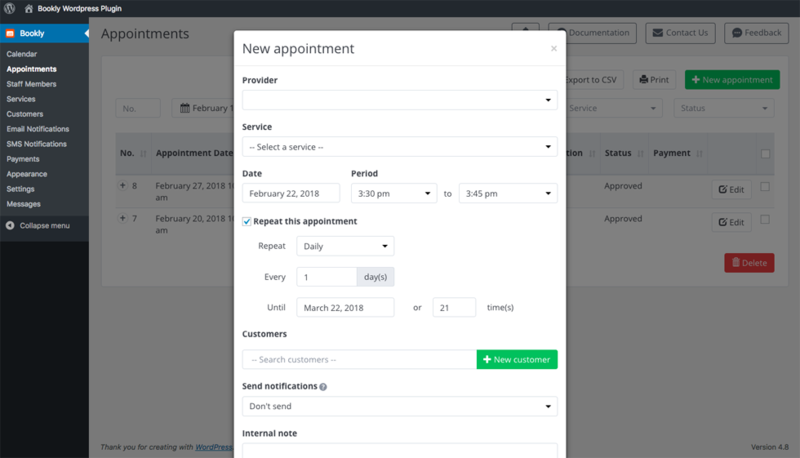 If selected time of the appointment is unavailable, the nearest open slot will be suggested. 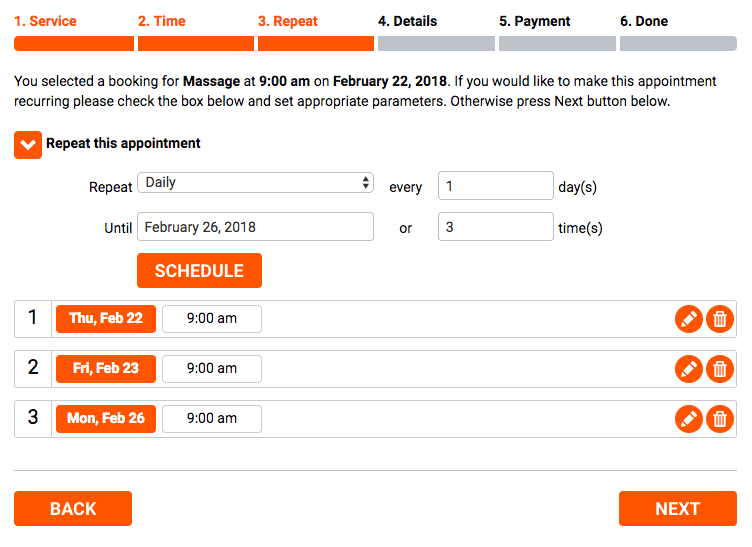 Combined notifications for the entire series of bookings, payment in bulk, and sync with Google Calendar.